7'' Single (45 RPM) in picture sleeve. 2 tracks. •	Band from Trinidad & Tobago, led by the internationally renowned lead guitarist guitarist and songwriter Michael Boothman. •	Family Tree represented a new generation re-discovering Trinidadian folk music forms and giving them a contemporary treatment. •	Family Tree infused old Shango rhythms in their new sound and were the first to experiment with steel pan fused with standard instrumentation. •	Funky jazz-tinged Soca with extensive guitar, steel pan and keyboards soloing. 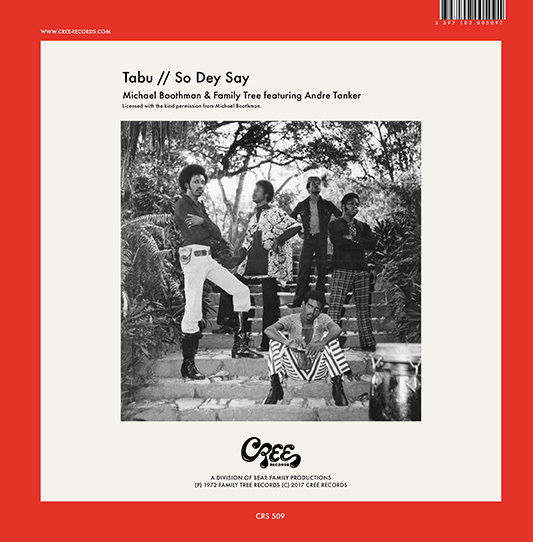 •	Tabu and So Dey Say were recorded in 1972 and would remain Family Tree’s only recordings. •	Limited edition of 500 copies worldwide! Family Tree was a coming of age band marking a change of consciousness for a group of young musicians who had started their musical careers at the dawn of Trinidad and Tobago's Independence from Britain in 1962. They grew out of The Rockerfellars, the first band spearheaded by the internationally renowned guitarist and songwriter Michael Boothman. The successful ’60s combo band playing rock and roll based popular music had reached the limits of its potential at a time when the excitement of Independence had given way to the anger of the civil rights movement which had been bubbling in Trinidad since 1967 and eventually spilled into the streets of Port of Spain in 1970 in what came to be known as the Black Power Uprising. It was with this movement as a backdrop that the focus for Boothman and his friends began to change. The Boothman brothers also had the benefit of coming from one of Port of Spain's most respected artistic families. Their uncle Geoffrey Holder was already the toast of New York's Broadway theatre scene, excelling as both a dancer and actor. Their younger uncle Boscoe Holder was on his way to becoming one of Trinidad and Tobago's most important visual artists. Family Tree represented a new generation re-discovering Trinidadian folk music forms and giving them a contemporary treatment. Under the guidance of drummers like Andrew Biddeau, Family Tree infused old Shango rhythms in their new sound. They were also the first to experiment with steel pan, fusing it with the standard instrumentation of the day. In 1972 the band won Trinidad & Tobago's 10th Anniversary Independence Music Festival with best original composition So Dey Say and they also won the Best Arrangement of the festival song Mighty Terror's Pan Talent. Among these are Andre Tanker, who plays the flute on Tabu. Tanker was another of the musicians who had made the transition from the more conservative mainstream pop music sound to embracing Trinidad's folk forms, inspired by African, Indian and Indigenous antecedents. 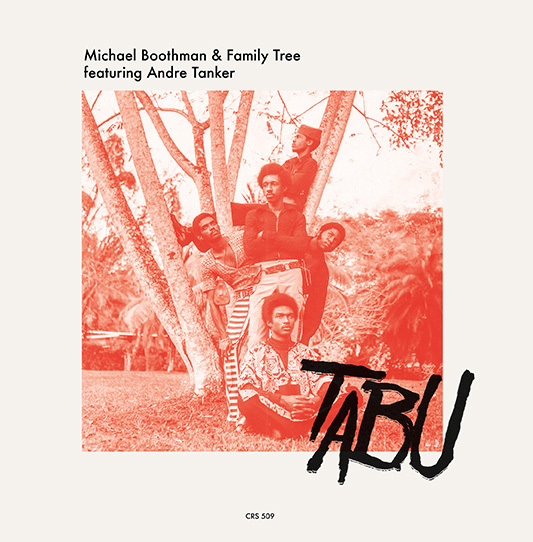 Family Tree consisted of the Boothman brothers Michael on Guitar and David on Keyboards; Wayne 'Barney' Bonaparte on bass; Dennis Thomas on drums; Earl 'Biter' Edwards on African drums; Allan Nightingale on percussion; Rawle Mitchell on steelpan. Rawle Mitchell was succeeded by Len 'Boogsie' Sharp, then a 16 year old pan prodigy who went on to become one of Trinidad's foremost steelpan players and composers. "Michael Boothman & Family Tree"
Customer evaluation for "Tabu - So Dey Say (7inch, 45rpm, PS)"
Die Leute von Cree Records entdecken laufend neue spannende Dinge. Nach dem wundervollen Calypso-Jazz-Album von Clive Zanda nun die Combo um Gitarrist Michael Boothman. Mehr davon!